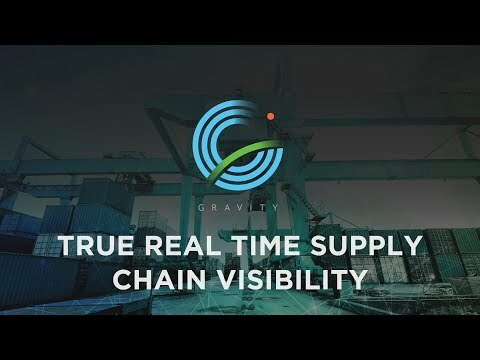 Gravity's cloud-based, end-to-end supply chain management platform provides manufacturers and retailers real-time supply chain visibility and execution capabilities, from sourcing to distribution center, delivered via modular apps. The solution’s suite of integrated applications help simplify and speed up the planning, execution and optimization of supply chain processes regardless of the organization’s size, industry or vertical. Gravity helps reduce the amount of time spent on manual data entry processes by automatically capturing and analyzing all operational data scattered across multiple sources, such as factories, partners and customers. Users are able to manage their sourcing, supply, transport, inventory and finance activities worldwide, and share and receive accurate and real-time data from multiple-tiers, including systems, geographies and business groups. The Gravity dashboard includes a configurable activity feed with real-time alerts about activities across the organization, as well as a communications center that allows users to send messages and communicate insights on specific tiles, including with non-Gravity users. The source app provides a single console for managing all vendor-supplier relations, including a booking tile with real-time data on bookings sent to multiple carriers. There are currently no reviews of Gravity Supply Chain. Gravity provides an intuitive software design that is custom-built to specific needs with implementation support for those with limited IT resources. Gravity's Gravity Shipment Tracking decreases the time and cost it takes to handle each shipment by providing real time visibility into shipments from point of booking at origin, through to receipt at destination. Supplier management features help establish visibility and control into ordering and production processes for improved manufacturing compliance and product flow from source to end-buyer. Inventory management tools help establish a real-time and accurate view of inventory across all locations, helping users to match supply with demand, and make better decisions on orders. Accurately pay supply chain partners and receive insight into any deviations to landed cost plans with Gravity's features for financial management. Below are some frequently asked questions for Gravity Supply Chain. Q. What type of pricing plans does Gravity Supply Chain offer? Q. Who are the typical users of Gravity Supply Chain? Q. What languages does Gravity Supply Chain support? Q. Does Gravity Supply Chain support mobile devices? Q. Does Gravity Supply Chain offer an API? No, Gravity Supply Chain does not have an API available. Q. What other apps does Gravity Supply Chain integrate with? Q. What level of support does Gravity Supply Chain offer?